Since the time I heard that Arijit Singh has sung a song in Gujarati Language, I was extremely curious to know the name of those films in which Sachin Jigar were giving music. Sachin Jigar have 3 Gujarati Films in their Kitty, so obviously the puzzle did not solve but added to the curiosity. 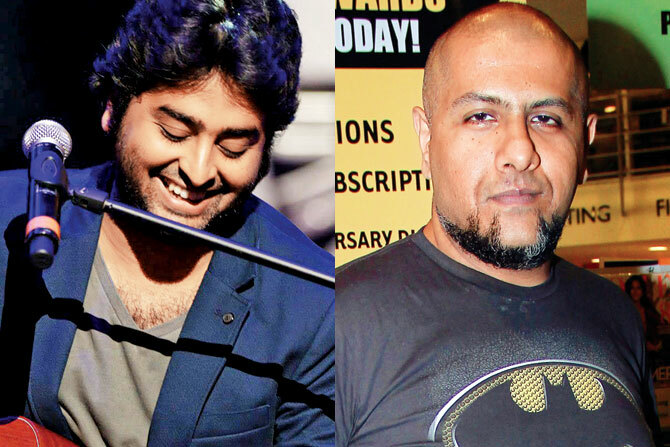 On World Music Day, Arijit Singh himself confirmed during his Facebook Live chat session that he has sung a song in Gujarati and finally I came to know that the production company which got Arijit is the same who managed to collaborate with Phantom as well. Yes Abhishek Jain’s Cineman Production has been in news for its collaboration with Phantom Films-a move to take regional cinema to new heights. The Trailer itself has given us a different thrill and has raised our expectations for the music as well. Obviously now we are awaiting the music launch as Arijit Singh and Vishal Dadlani are going to sing a song in Gujarati language for the First Time. I already have a feel that this will be a treat for cinema and music lovers. WRONG SIDE RAJU stars Pratik Gandhi, Asif Basra, Kavi Shastri, Hetal Puniwala & Kimberley Louisa McBeath. The film is directed by a debutant director Mikhil Musale. I personally Loved ‘Re Amdavad’ , ‘Satrangi Re’ & ‘Gori Radha ne Kaalo Kaan’! What about you?